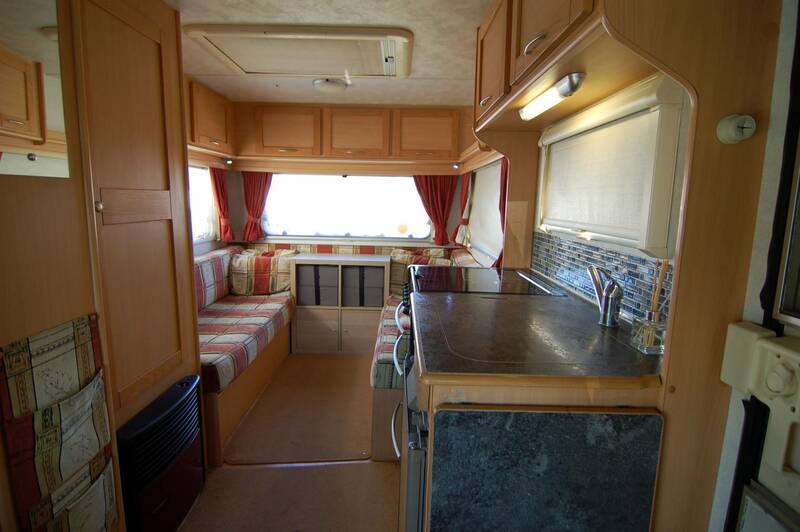 Great value end lounge model, sister to the equally popular Elddis Autoquest 140. 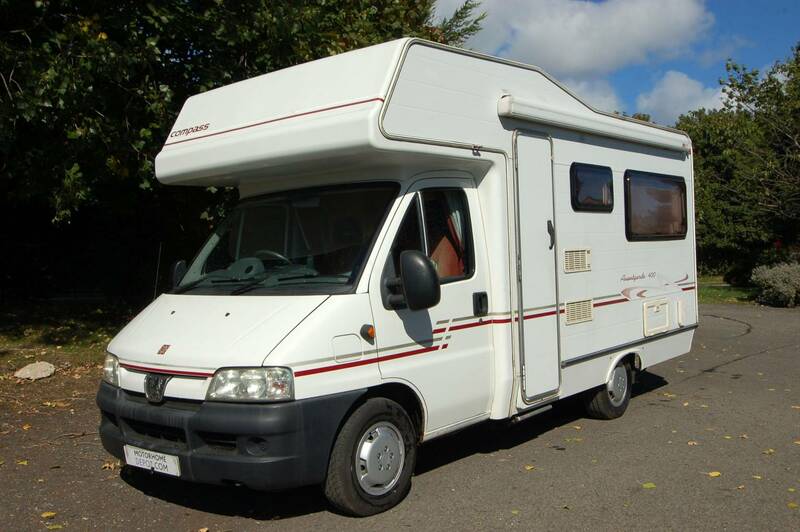 In tidy condition with some useful extras included too, this an ideal first motorhome. 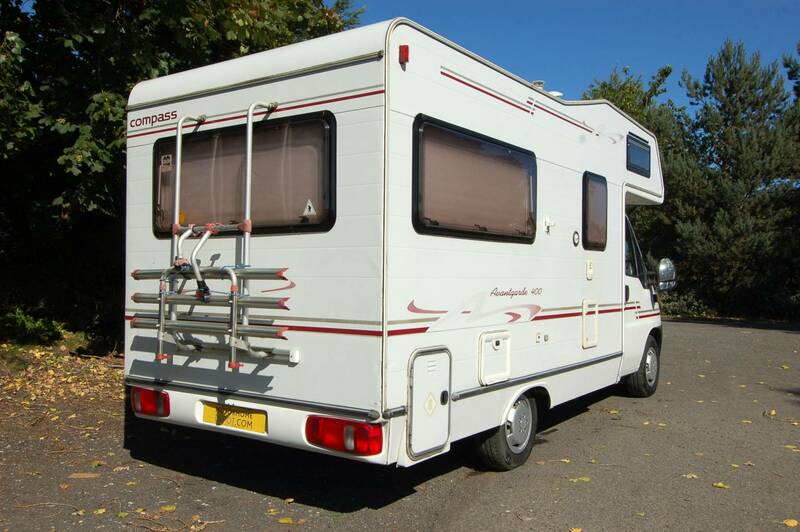 Accommodation comprises of a spacious, light and airy rear lounge, thanks to three windows and a large opening Heki rooflight, all with flyscreens and blinds. 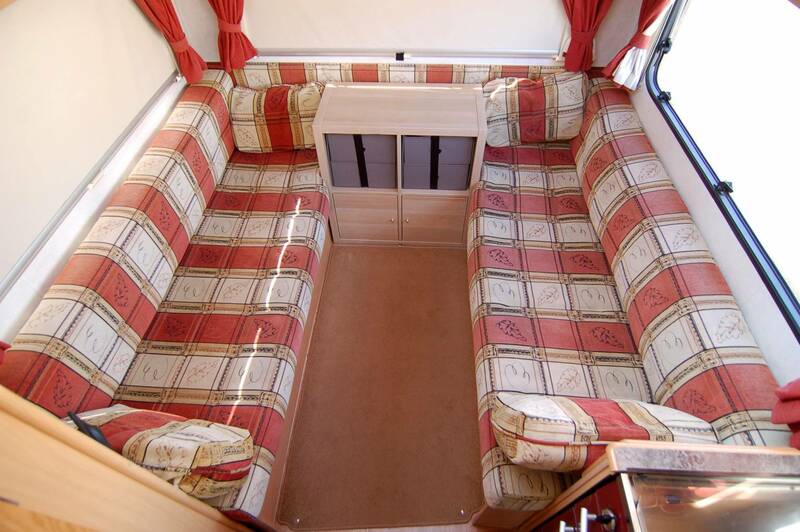 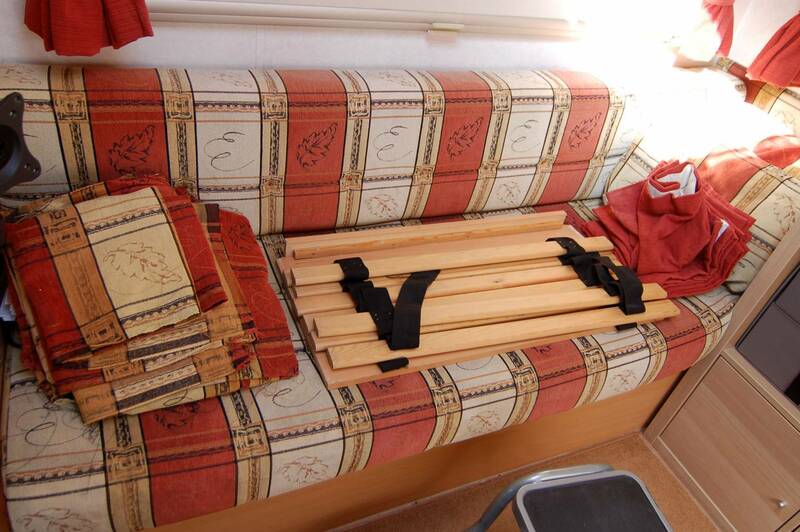 The seating can make a large double or two single beds as required. 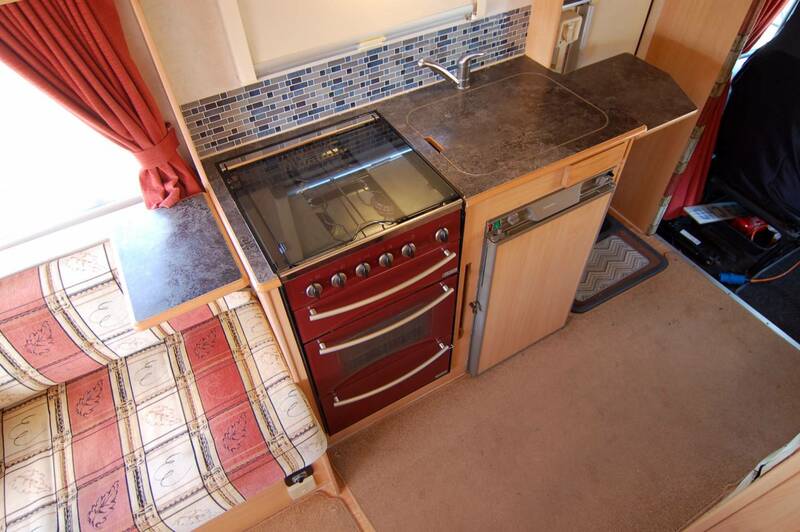 An additional rear cabinet has been fitted to offer storage and a table top, although this can be easily removed and reverted back to the original U shaped lounge area. 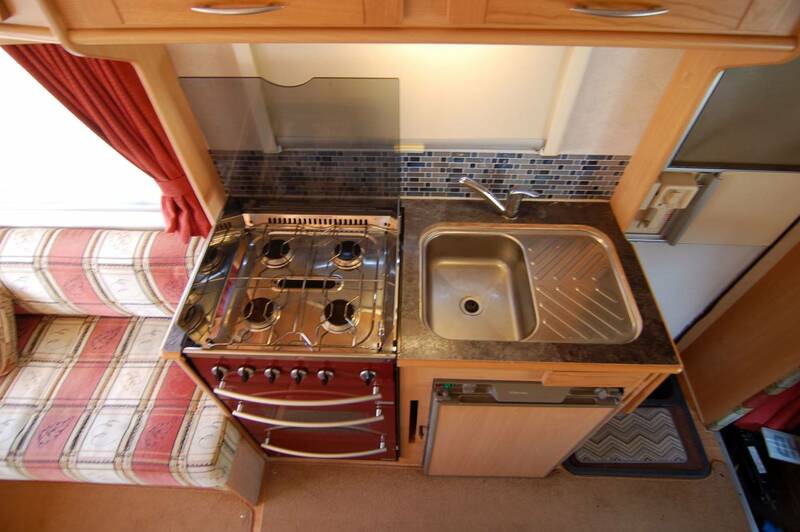 In the central area of this motorhome is a well equipped kitchen with gas hob, oven and grill, fridge and sink. 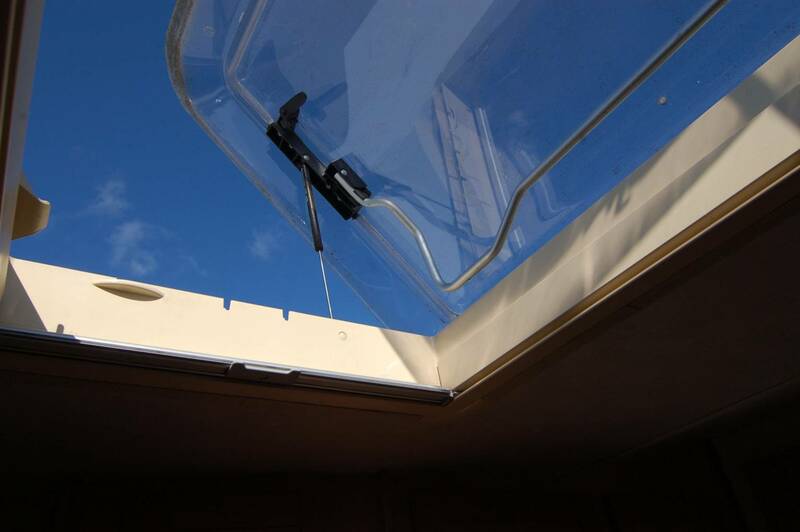 There are extra pull up work surfaces available at the ends of the kitchen cabinet. 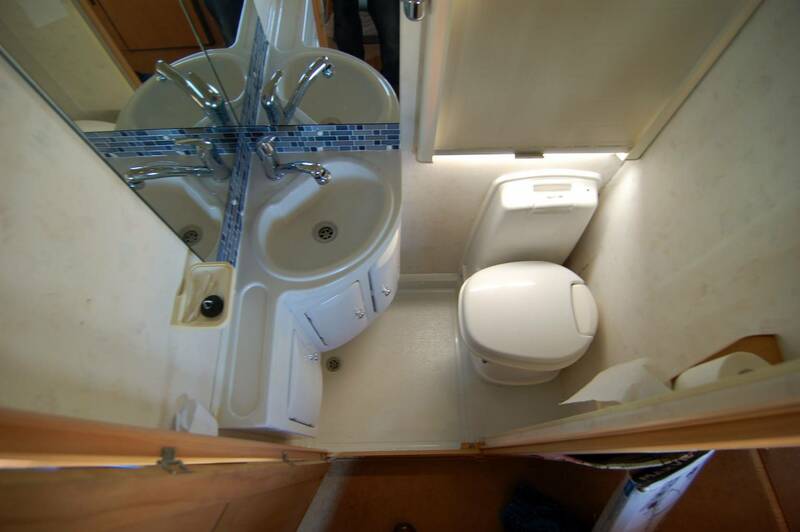 Opposite here is a compact washroom with toilet, pull up shower and vanity sink. 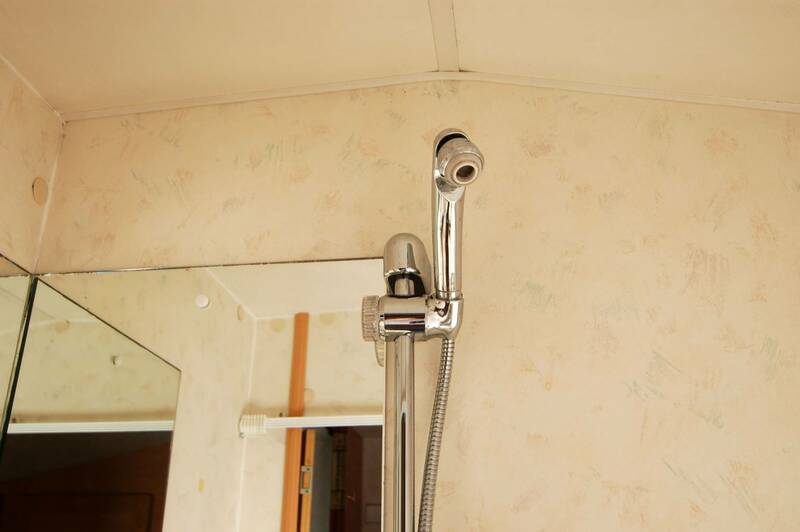 There are hot water and heating systems onboard with fresh and waste water tanks. 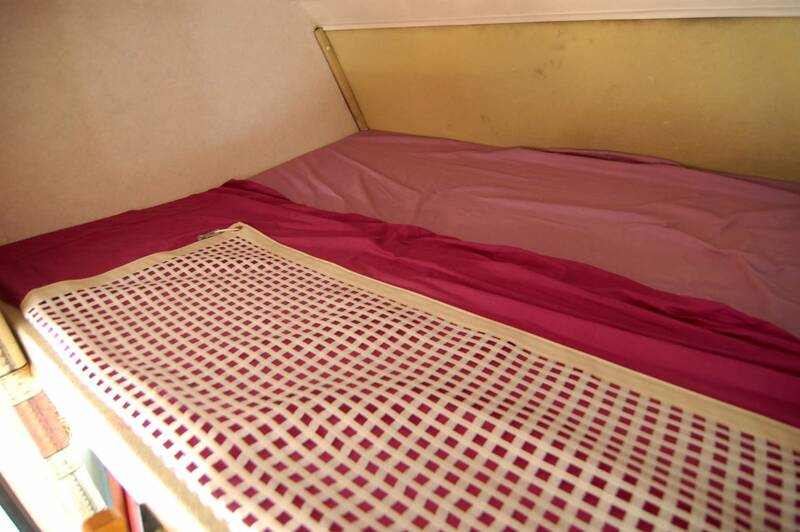 Over the cab is another bed, often used for storage on this type of layout. 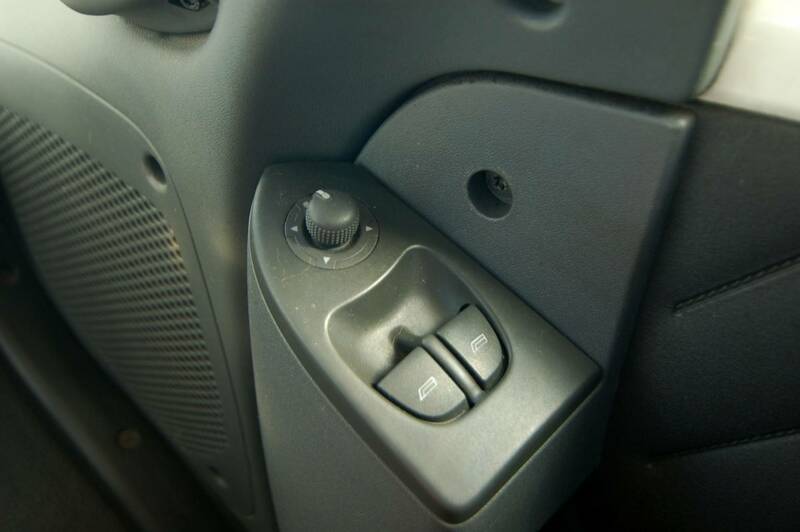 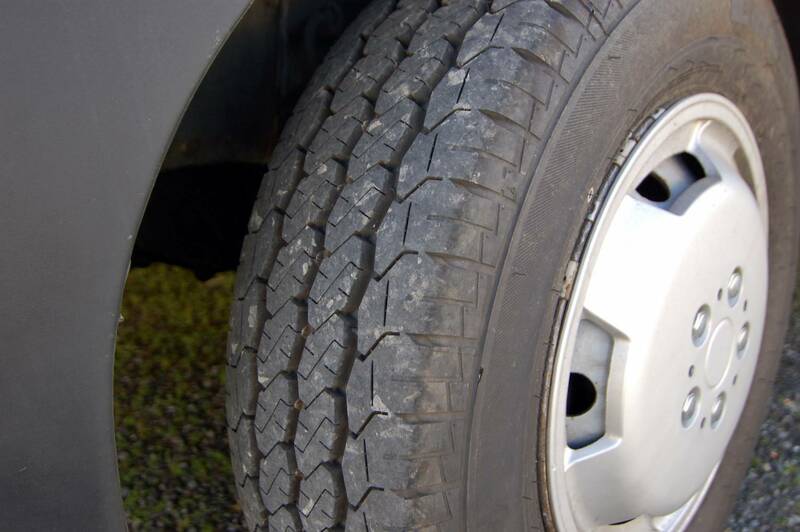 It can be partially recessed into the front to allow easy access to the cab. 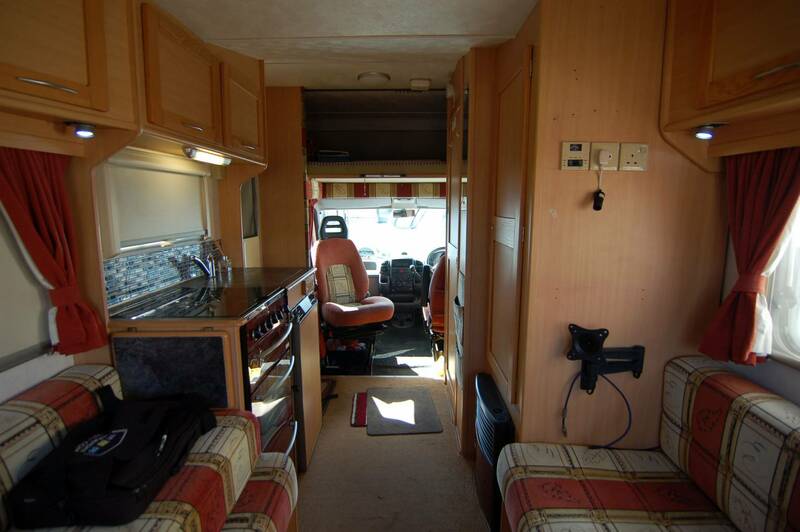 In here you will find a well laid out driving position, with electric windows and mirrors, height adjustable drivers seat, swivel passenger seat. 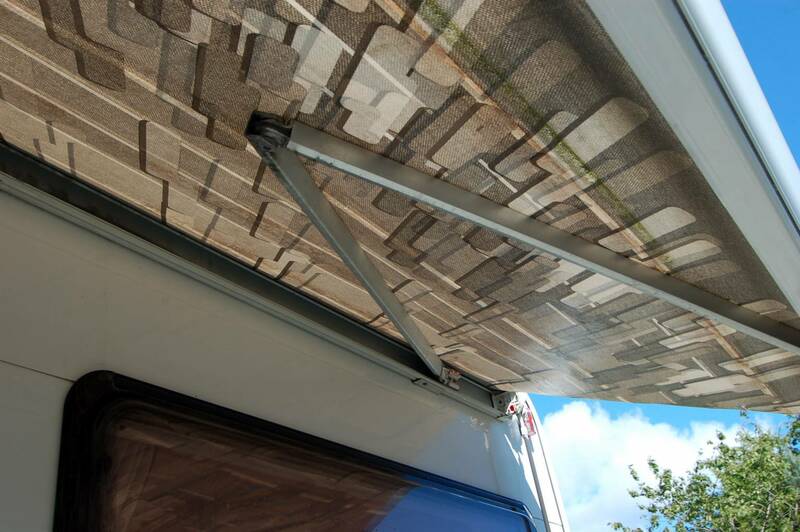 Outside, an awning is fitted along with a three bike rack, plus there is a roof mounted solar panel charging the leisure battery. 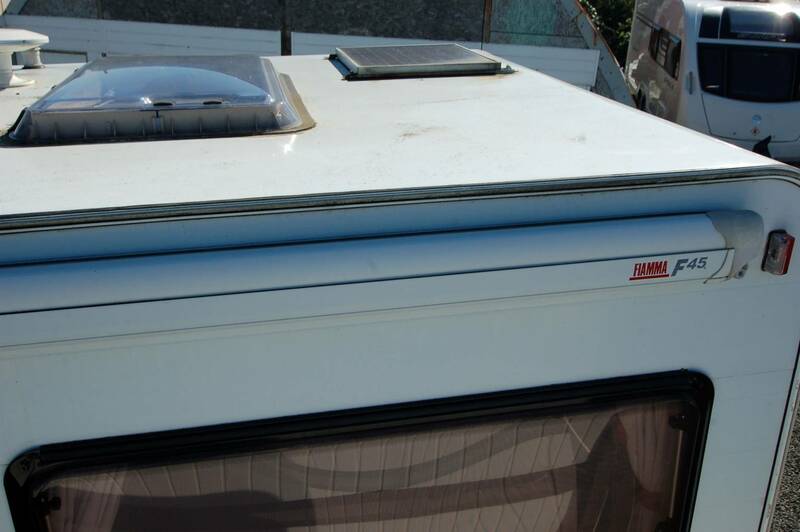 Also included in the sale are gas bottles, a hookup cable and levelling ramps. 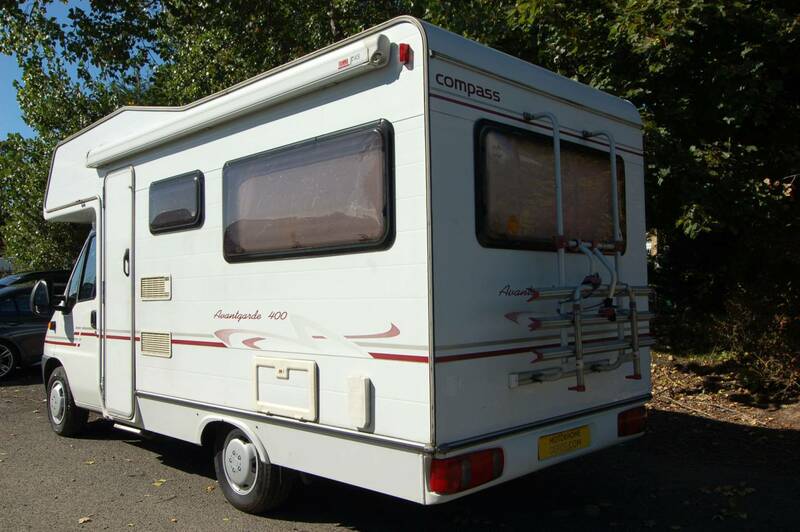 The current owners have not been afraid to spend money on upkeep and the Compass has had recent front tyres, auxilary belt and engine battery. 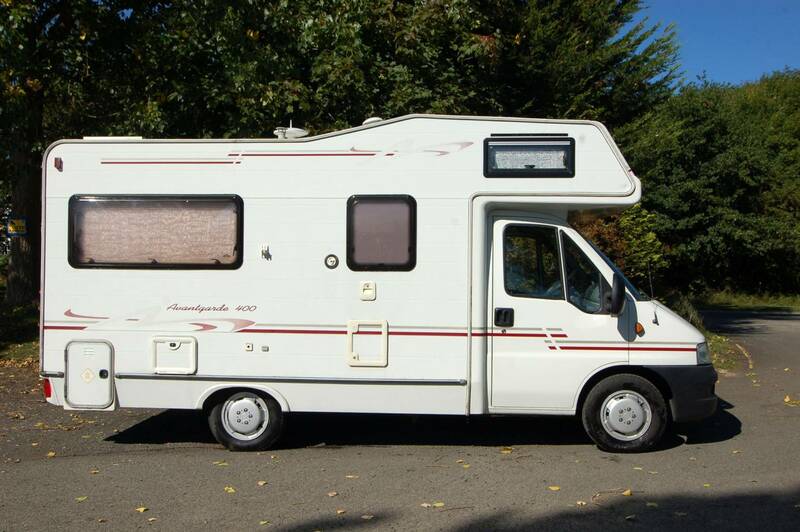 Although up on miles this motorhome has plenty of life left and offers great value against others in the market of similar age and specification. 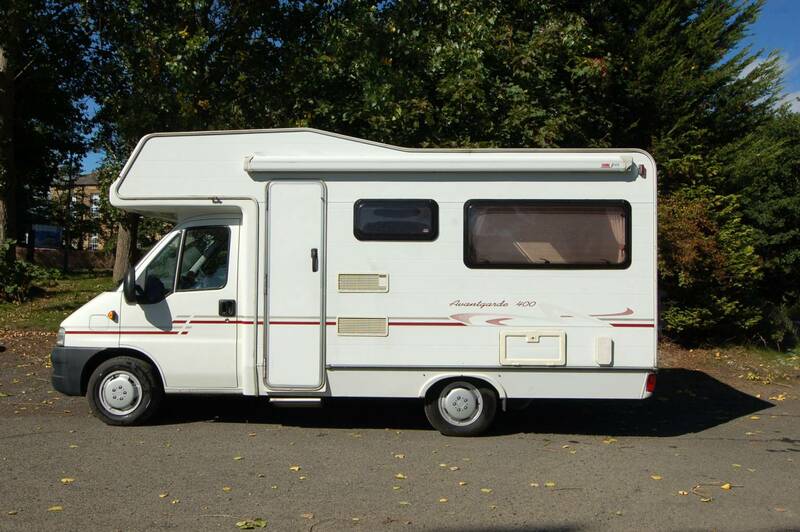 This motorhome is located near Whitley Bay and viewing is by appointment only, contact Chris direct on 07375 074407 for more information and photos. 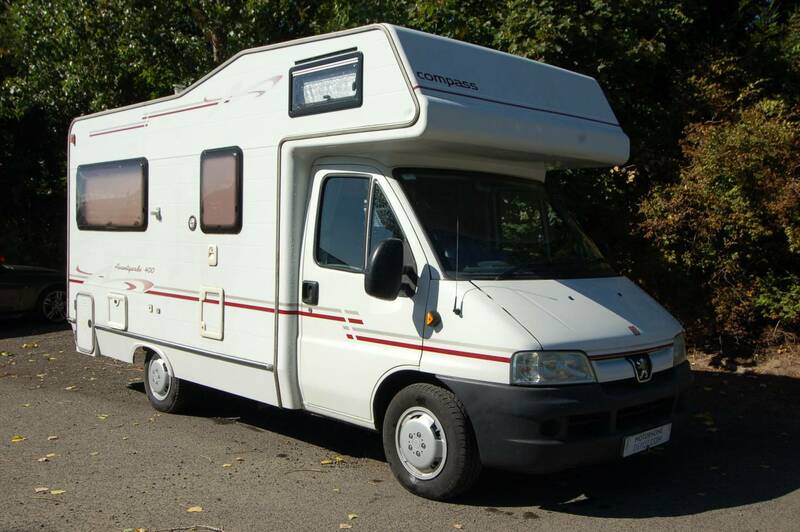 Plated at 3200KG, capable of sleeping up to four with two seatbelts fitted in total.